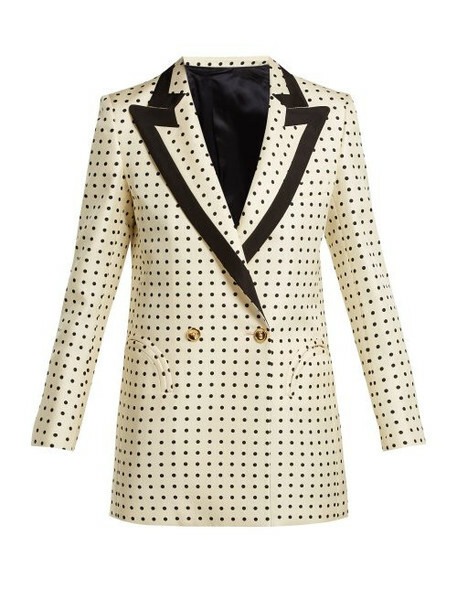 Blazé Milano - Blazé Milano's contemporary take on tailoring shines through in the considered composition of this black and cream polka-dot silk Oh La La blazer - a style that is exclusive to MATCHESFASHION.COM. It's made in Italy with slim shoulders and a relaxed double-breasted bodice that's lined with black silk, then finished with the house's curved 'smiley' pockets. Layer it over a roll-neck sweater and tailored trousers as part of a smart dinner party ensemble.